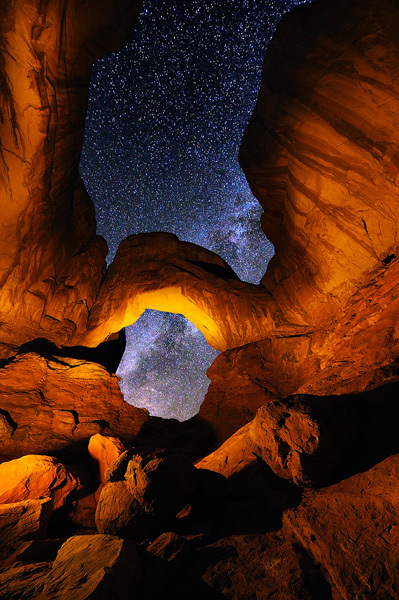 Double Arch in Arches National Park, Utah, USA. I wanted to create something different from the shots you usually see from this iconic place, and this is what I came up with. Double exposure with additional light painting.